During Ryan Libbey's roughly one-month state at Lakeview in 2011, his mother Jennifer Cote found unexplained bruises all over her son's body. Since last September, Lakeview Neurorehabilitation Center in Effingham has been under scrutiny for abusing and neglecting some of the people it cares for – children and adults with brain injuries and developmental disabilities. NHPR has been looking into these accusations, and it turns out the state had warning signs about Lakeview going back to at least 2011. This is the first of two stories on Lakeview, a look at the scope of those accusations. 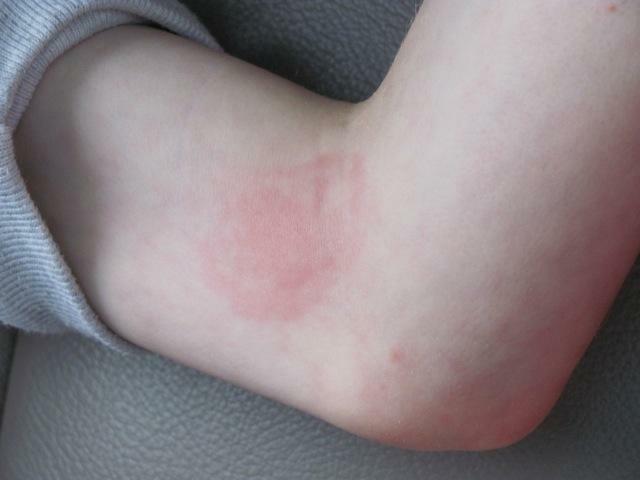 In the summer of 2011, an 11-year-old boy with autism named Ryan Libbey left Lakeview with 22 marks on his body: bruises on his throat and cheeks, abrasions on his shoulders, and severe diaper rash. 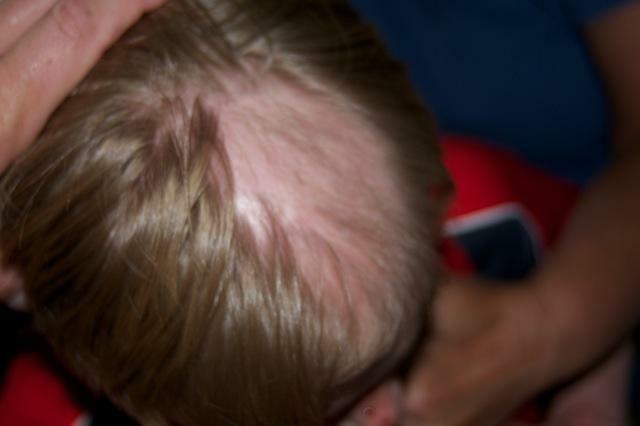 He had also pulled fistfuls of hair from his own head. "That devastated me. I’ve never seen him like that," says the boy's mother, Jennifer Cote, of Lebanon, Maine. Ryan had been at Lakeview for just over a month. 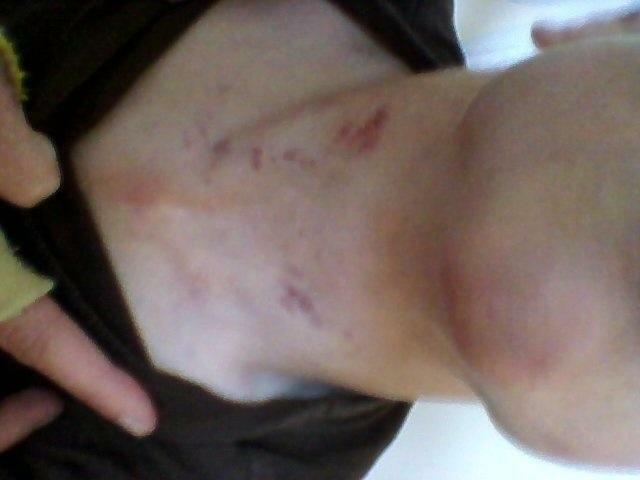 And he had had unexplained bruises before. That’s what prompted Cote to pull him permanently. Jennifer Cote discovered bruises on her son after picking him up from Lakeview in 2011. 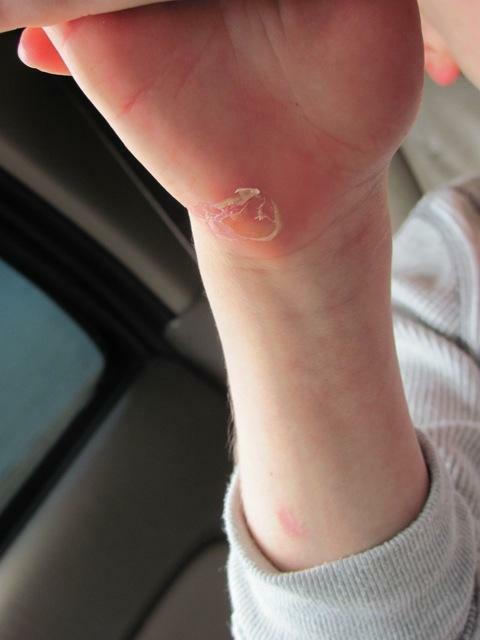 NHPR obtained Cote's permission to publish photos of Ryan's injuries. "They were just really odd marks," says Cote. "And so I went in and asked the social worker there what those marks were. And she said, well, there’s two different stories going around. She said staff said he did it to himself. And some kids in the residence said a staff member did it to him." Cote called the police, who referred the case to the state’s Division of Children Youth and Families. The state investigation never determined the cause of his injuries. Three years later, Ryan’s story became part of a Disability Rights Center investigation. It found Ryan was one of many residents who suffered abuse and neglect at Lakeview. The reports also said in 2012, a 22-year old man died, likely of neglect, in a pool of his own urine. We also know Lakeview clients go missing. In June 2013, a resident was gone for two days. She was found on top of a nearby mountain with hypothermia. On June 9 2013, a 19 year-old female Lakeview resident walked away from the center wearing only pajamas and socks. After a two-day search hampered by cold and rain, N.H. 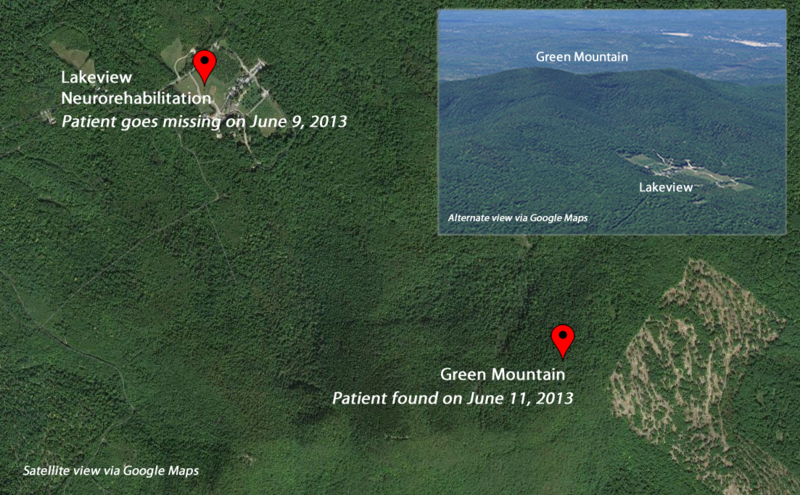 Fish and Game received a call the girl was found by a local hiker on the peak of Green Mountain. When the Disability Rights Center made its findings public, Governor Maggie Hassan immediately halted new admissions. Then, in December state investigations concluded Lakeview suffers from chronic under-staffing, and that it has no policy for reporting abuse and neglect to the state, which it is legally required to do. In Effingham, Lakeview has 88 beds. The facility is spread out, with residential cabins, offices, and a school. There are a total of 350 staff, including social workers, behaviorists, doctors and nurses - plus clients from all over the country. This makes Lakeview attractive to people like Tom Allen, who lives in Pennsylvania. His son, who’s here in New Hampshire, is autistic with mild mental retardation and bi-polar disorder. "It was hard for me to make the decision for him to go far away from me," says Allen. "The plan was to transfer him to that site – once he got a little bit more stable, and then to come home. He’s very smart, he’s a loveable kid, but at times he gets aggressive." Former and current staff say Lakeview has had a problem managing aggressive behavior for years. "Bites, stabbing, hits, kicks, scratches – that’s all part of the game," says Bruce Thibodeau, who worked at this facility under multiple owners since 1988. He left Lakeview last November. Staff get hurt all the time at Lakeview. A 2013 OSHA violation lists everything from kicks to the groin to concussions, broken noses, and dislocated shoulders. Lakeview Systems is headquartered in Texas, and operates facilities in three states. The company started 20 years ago exclusively as a rehab program for people with Traumatic Brain Injuries, or TBI. "Through the years [Lakeview has] morphed into...something that tried to put everyone in a big pot. And so some of the staff may be working with autism one day, then turn around and work with someone with a TBI one day. So it became more difficult," Thibodeau says. When working with clients with such complicated needs, accidents and injuries are bound to arise. But Lakeview is under scrutiny for putting some staff in harm's way without support, while covering up abuse by other staff. In 2013, a mother claimed her daughter was abused and neglected over ten times. The state’s Bureau of Elderly and Adult Services investigated and found a pattern of overworked and under-prepared staff. That client was Jessica Klurfeld, and her mother is Linda Blumkin of New York City. Blumkin says her daughter became violent in 2003, when she was 14 years old. "I had reprimanded her about something, and the next thing I knew I was lying on the sidewalk with Jessica kicking me, spitting on me, pulling my eyeglasses off, throwing them into the road," says Blumkin. 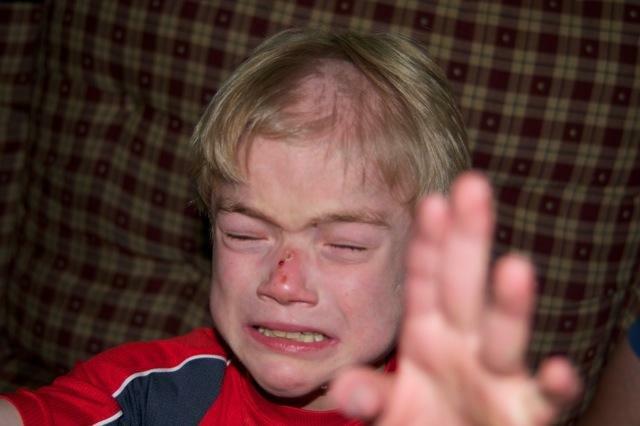 Klurfeld has autism, mild mental retardation, bi-polar disorder, and a rare genetic disorder. She spent three years at Lakeview, and an investigation by the State of New York found her care lacking at all levels. When Klurfeld was suffering from a vaginal yeast infection, Lakeview’s doctor prescribed her a foot fungal ointment. Blumkins says that doctor had never even examined her daughter. The state’s Board of Medicine is investigating the incident. 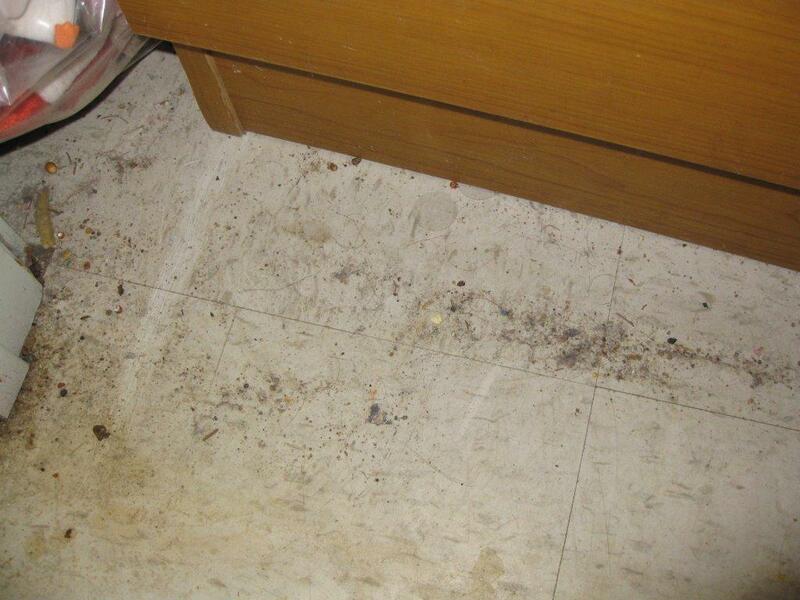 Photos Blumkin says she took of her daughter's room at Lakeview on April 19, 2014. Jennifer Cote says her son's room had feces on the wall from a prior occupant. Lakeview charges $424.79 per day for room and board. "Basically we felt deceived," says Blumkin. "We felt that Lakeview had made promises to us that, not only did they not keep, but it’s inconceivable to me that they could have had an honest intention that they ever would keep them." Lakeview declined to be interviewed for this story, citing ongoing investigations by the state. But a company representative did respond to some questions by email. Lakeview says it is very expensive to care for people with these types of disabilities. The average cost is $292,000 per client, per year. But some cost more because they need a one-to-one staff ratio, which costs $570 a day. And who pays for this? Mostly taxpayers – through Medicaid and education dollars. Click here to see the reporter's notebook of documents and correspondence used in the reporting of this story. "And they’re making that money by, in my mind, defrauding the payers," says Kirk Simoneau, a lawyer representing four families of former Lakeview clients, one of whom has filed suit. "I have statements from staffers who have referred...to Lakeview as a 'human cattle shop,'" says Simoneau. "Others have said that they’d rather be dead than ever go back there because of how badly they were treated and how badly the individuals were treated." Simoneau’s clients, including the family of the young man who died there in 2012, claim emotional, verbal, physical and sexual abuse. They also say staff covered it up. Jennifer Cote’s son was supposed to have a one-to-one. She says someone should have seen how Ryan got those bruises, and why he pulled out his hair. "The proof," Cote says, "is in the numbers. They can say whatever they want and cover it up. But how could this happen to so many people?" That’s a question no one has answered. But what's most surprising is this: Everything reported in this story - and much more - was all known by regulators. Yet Lakeview has gotten a clean bill of health from the state, year after year. That's the focus of part two of this story. SLIDESHOW: Photos of Jennifer Cote and her son Ryan Libbey at a Maine group home in January 2015. Photography by Greta Rybus for NHPR. Brain Center Needs Fix Now, But Can State Prevent Future Problems? 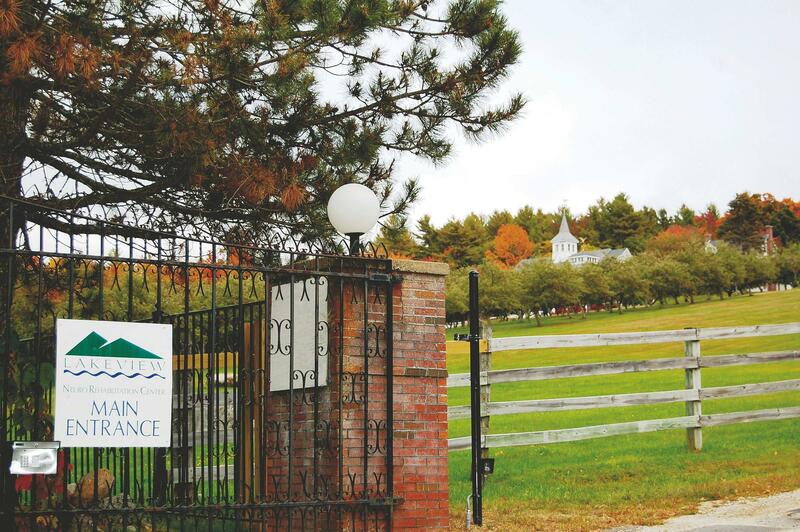 Lakeview Neurorehabilitation Center, Effingham, NH. A new state report documents systemic neglect and abuse at a residential facility for people with disabilities in Effingham. Now the state will determine if the facility can keep its doors open. But the state may simply be ill-equipped to stop these kinds of problems before they happen. Following are many of the source documents and related media used in NHPR's reporting on the Lakeview Neurorehabilitation Center in Effingham, N.H.
Visit our Flickr album to see photos of Jennifer Cote and her son Ryan Libbey taken by Greta Rybus for NHPR.